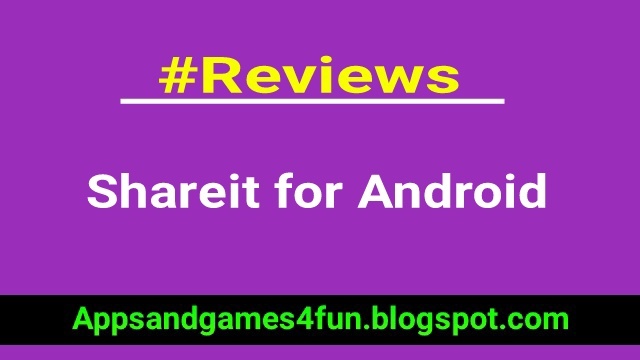 Today I am going to talk about a very useful app for Android. This app is so helpful that you must have used it or at least heard about it. 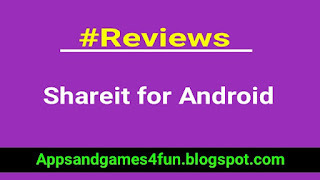 SHAREit is the world's fastest cross-platform file transfer tool. Share all kinds of files whenever and wherever. 200 times Bluetooth speed. No USB. No data usage. No internet needed. Supports Android, iOS (iPhone/iPad), Windows Phone, Windows, and Mac. The choice of OVER 600 Million users from 200 countries. Top 1 downloaded App on Google Play in 24 countries and regions. It comes also very handy that you do not need any wireless connection, and it connects devices very quickly and accurately. This essentially means that you will save valuable time, as there is no need for you to pair the devices every time you use Bluetooth. Pairing devices can be stressful sometimes, because the connection can often fail and you have to repeat the same process over again. 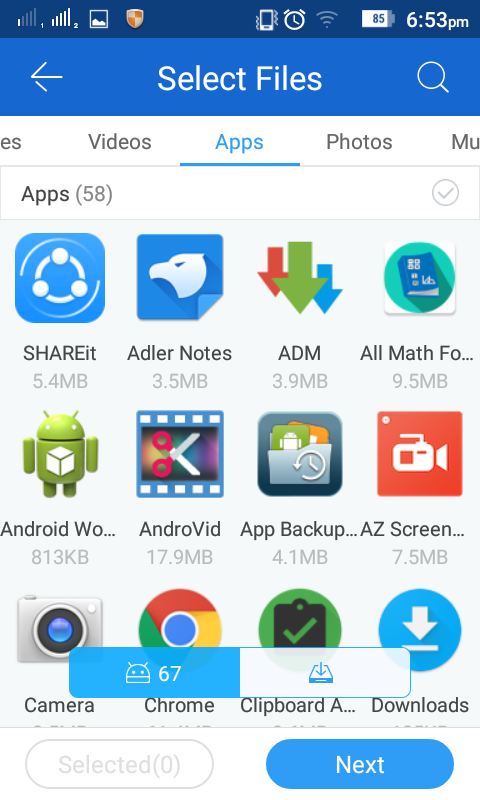 SHAREit is a cross-platform and you can quickly and easily transfer files between smartphones and computers. 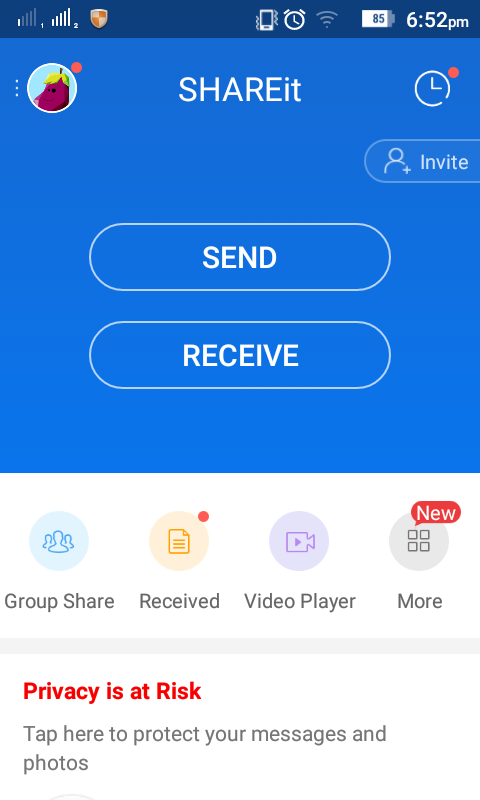 SHAREit has a basic and simple interface. Even if you use it for the first time, it will not take much time before you figure it out how to use it. The application does not have plenty of options, but it does not need many options anyway. The most important thing is that it serves its main purpose, and that is to share files at very fast speeds. 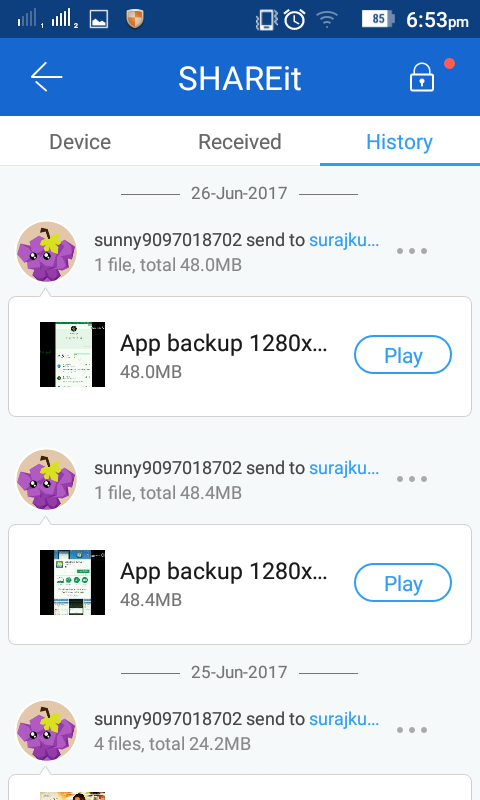 Apart from sending several different files at once, it also allows you to send files to several recipients simultaneously. That is a pretty good option, which cannot be done through other applications or with other common ways for transfer of files. Usually other applications allow sending files to one person at a time. 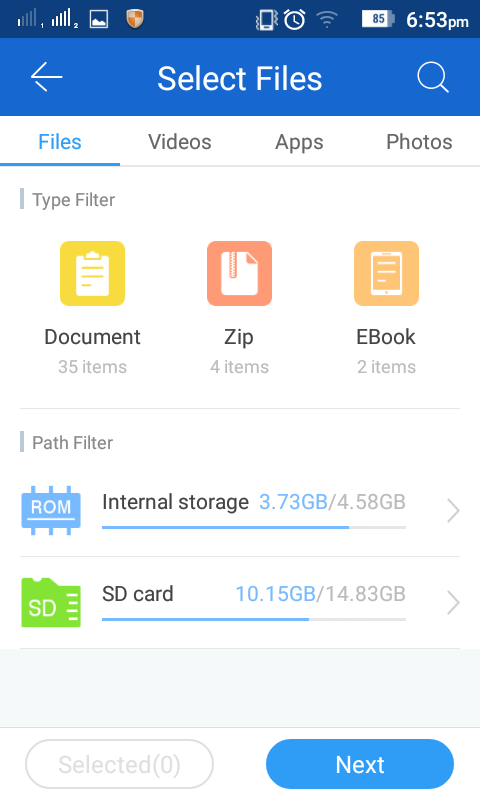 It is an awesome application for fast and safe different format file transfer between your devices: computer, smartphones and tablet with any platform. You will not have to enable Bluetooth anymore or connect the USB wire. It does not require Internet connection for transferring files. You can transfer all kinds of files including videos, music, documents, photos, files, folders, etc. 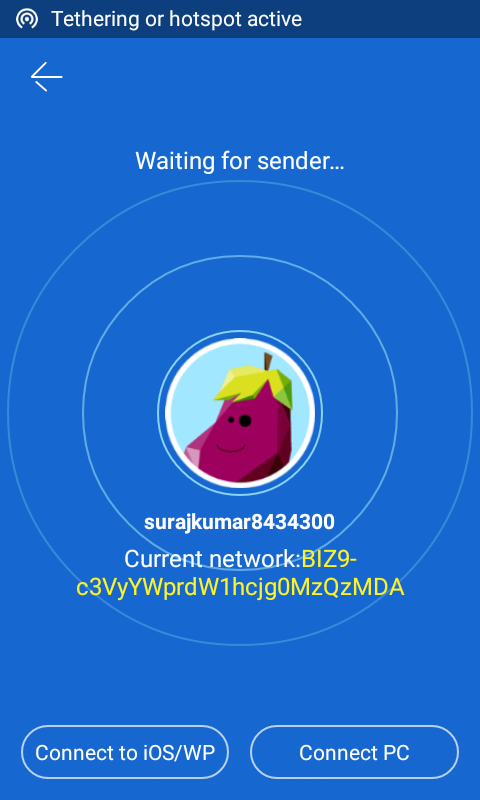 Two devices that have installed the SHAREit application can automatically find and connect together when they are in range. Good thing is that SHAREit allows transfer of gigantic files, but at much faster speeds than Bluetooth. One of the biggest positives about SHAREit is that it is completely free and you do not have to pay any money in order to download it. One con is that sometimes the application comes with different advertisements, but that is understandable having in mind that the application is free. Also the person that receives the files should be in close range in order for his mobile device to be detected by the application. SHAREit may have some minor cons, but there are by far more positives that come with it. It works without any problems, so you can share large files easily. So you must install this app for a good experience. And save your time to send files quickly.